According to a research by an ecommerce company Invodo, 57% of consumers are more likely to purchase your product after viewing a video about it. With online videos being that effective, you can’t ignore their power. If you’re still not using promotional videos for your business, it’s time to leverage them. However, not any video will have the effect you expect: to create the one that will truly help increase sales, follow these simple tips. Don’t rely on your ability to wing it: the truth is when you start speaking unprepared, you might miss important points and make your speech confusing. To communicate your message clearly and persuasively, you need a well-written and thoroughly planned script. Don’t bore your audience with too many figures. Instead, tell them a story, just like you would to a friend. Like any other piece of content, your promo video needs to get found on Google and YouTube. That means you need to do your keyword research and optimize the script and the video so that it gets better search results positions. Read more about optimizing your videos in our earlier post. People tend to lose interest very fast, and on average they won’t watch a video for more than three or four minutes. That’s why make sure your promo fits in this time span. The time limitation will also help you get rid of all extra fluff and focus on the most important and attractive aspects of your offer. Think of a beginning that will instantly get your audience involved and interested to hear what you say next. Focus on the ‘pain’ your target audience has and come up with a creative way to make them engaged. For example, if you advertise your car polishing service, ask them to come up to the window and take a look at their car. Does it look the way it did when they bought it? You don’t want to sound too formal, boring, or pushy. Make sure you have a friendly and sincere attitude and don’t talk down to your viewers. A little humor is a good ice-breaker, too. Be natural and open, the way you’d speak to your customer face-to-face. The visual aspect of your video matters a lot, so make sure you shoot it on an uncluttered background that doesn’t distract attention, and use a tripod for a stable and professional picture. It’s good to shoot from different angles and combine these pictures naturally, instead of shooting the video from one angle start to finish. Audio is no less important, because it delivers your actual message. Invest in a quality microphone, speak distinctly and not too quietly, and eliminate any background noises. The purpose of your promo video is to make people do something – request a quote, buy your product online, etc. Let them know what you want them to do and what they will get. ‘Send us a message to claim your 20% discount’, ‘Call today for a free live demo of our product’ – whatever it is, don’t just leave your audience wondering what to do next. Ask your colleagues, friends, or even loyal customers to view your promo video and say if it would convince them to buy from you. Based on this feedback, edit your video as many times as it’s needed to make it perfectly effective. 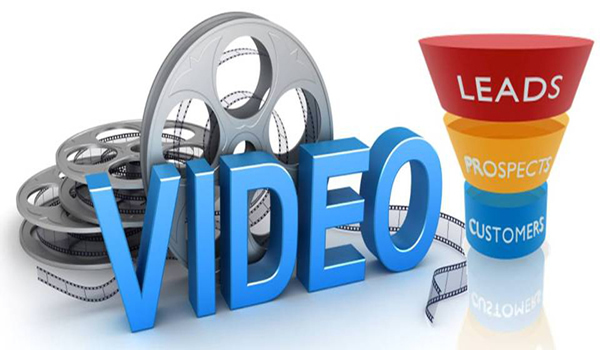 Promotional videos can be an effective and affordable marketing tool, provided they are created the right way. Now, do you have experience making successful promo videos? What are your tips? Share them with other readers in the comments.